Our Mission is to provide underrepresented communities with access to the benefits of yoga and mindfulness. We are the non-profit organization that offers accessible, inclusive, and compassionate yoga to all underrepresented regardless of ability or background. We are currently offering services to persons with Intellectual and/or Developmental Disabilities, youth that are at risk for being failed by one adult or more, and seniors at yoga studios and other venues throughout the Greater Denver area. Our endeavor is to provide yoga and mindfulness practices to those who typically have limited access. Our ultimate goal is to have our own studio space that is inclusive, accessible, and affordable that has classes for every shape, age, ability and background. 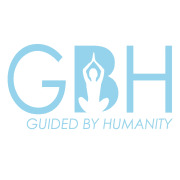 Would you recommend GUIDED BY HUMANITY?